LP and Little Man absolutely love to read but they also really love to share books with Dave and I, reading them together and making reading into an activity we can share. 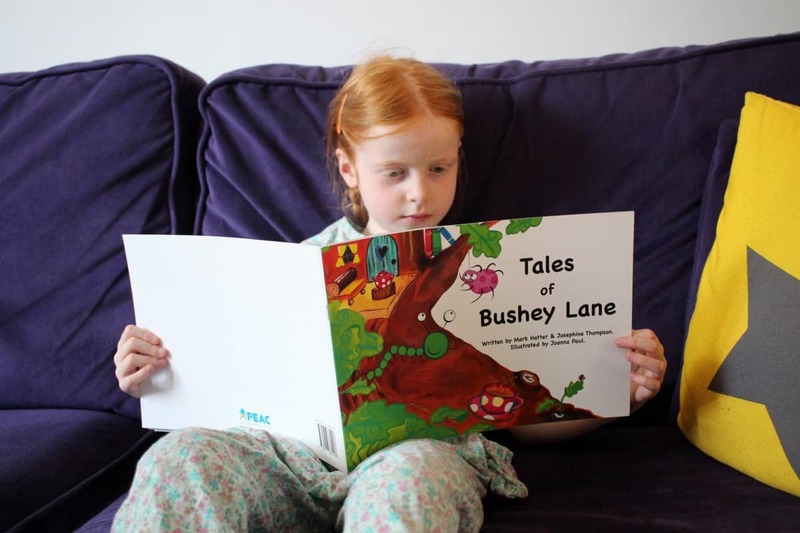 So when we were sent Tales of Bushey Lane to review LP and Little Man were quite excited – as it’s a book designed to assist people who are working with children and their families. Helping to effectively communicate with children to fully understand what their life is like. Obviously, using a book like this in a home setting isn’t how it would usually be used. It would typically be used within educational environments or in social care but it was great to work through the book with LP and Little Man to get more of an insight of life through their eyes. The book is full of really bold text and each page has an element of repetition to keep the children engaged and to help the emphasis of the story sink in. It also has really bright, fun illustrations that the children really enjoyed and characters that they instantly warmed to. 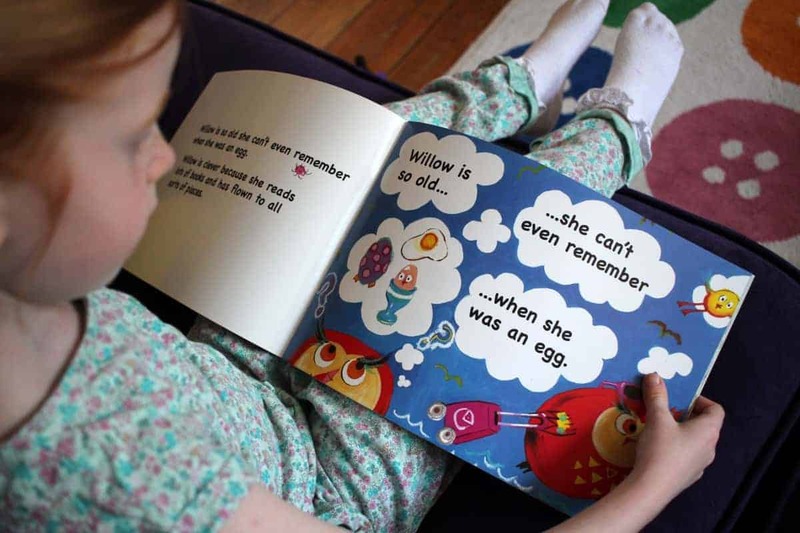 The book follows Willow the owl through her day to day life – cooking, cleaning, going on holiday, having a bath… as well as talking about her family set up – with children, grandchildren and their different homes. It also talks about work, school, nursery and times when parents may not be there – if they go out for an evening and the children stay with grandparents. 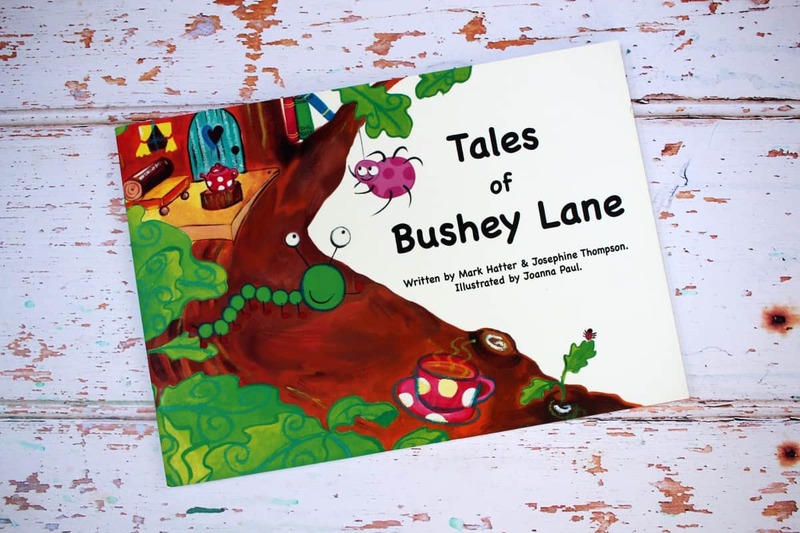 Tales of Bushey Lane also talks about how siblings and friends can get upset with each other, how people can get angry with each other and how sometimes people can get hurt. The book covers so many different life and social situations that it creates natural talking points for children. 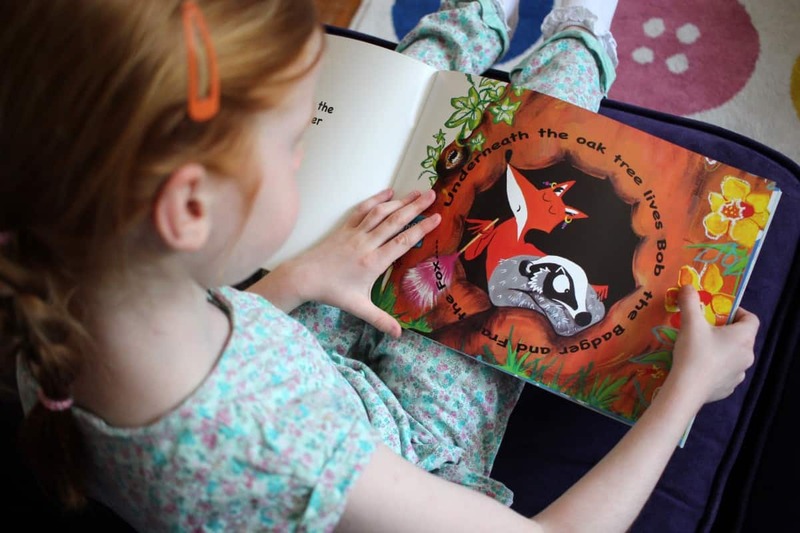 The book would help children talk about their own home life – their own family, their home, their parents’ jobs and their aspirations for the future. Plus, the book comes with two activity packs that can be used to help open up the conversation even more. 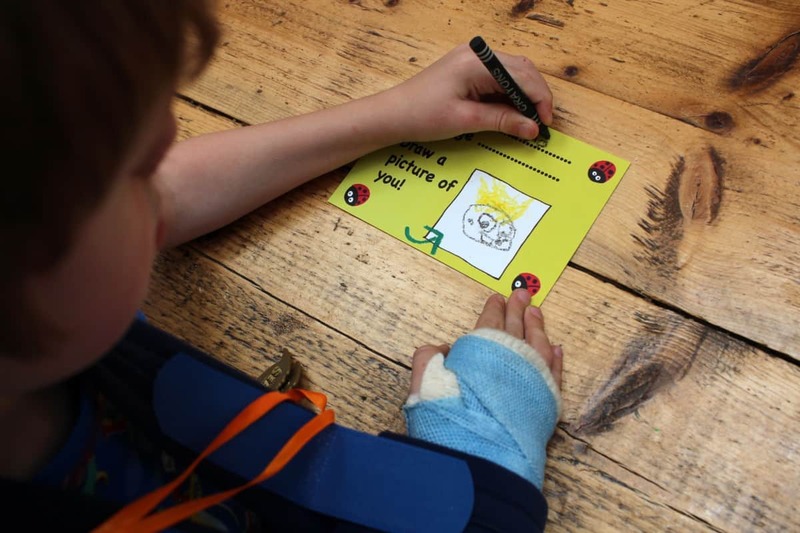 The first activity pack has a ‘Me Tree’ where children can write and draw so much about themselves – things they like and don’t like, their family and friends. Plus, there’s a postcard to draw a picture of themselves and also cards depicting emotions to help children gain an understand of how they’re feeling during different situations. 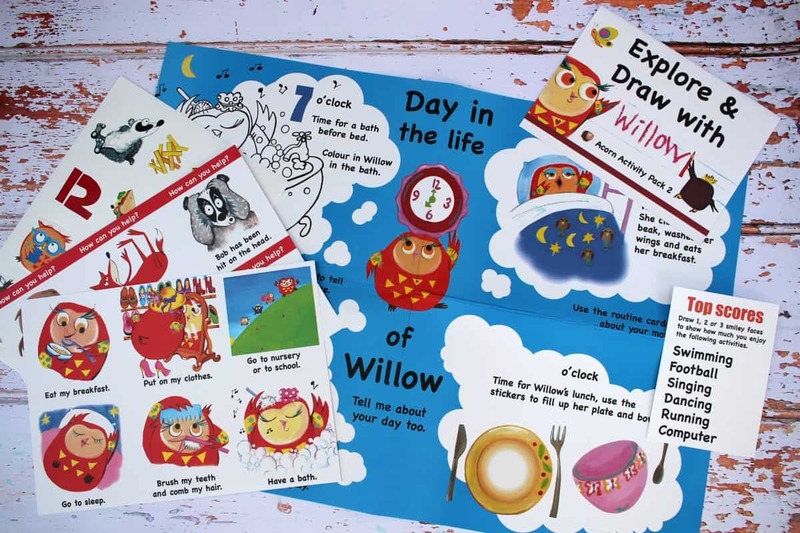 The second activity pack is all about the children’s usual daily routine – from getting up to going to bed and everything that happens in between. 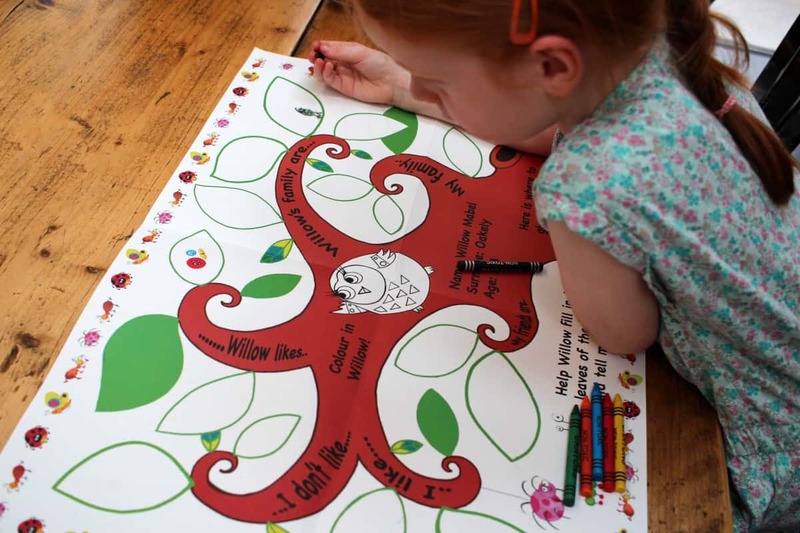 The children love the large format of the activity packs, how colourful they are and the beautiful illustrations too. 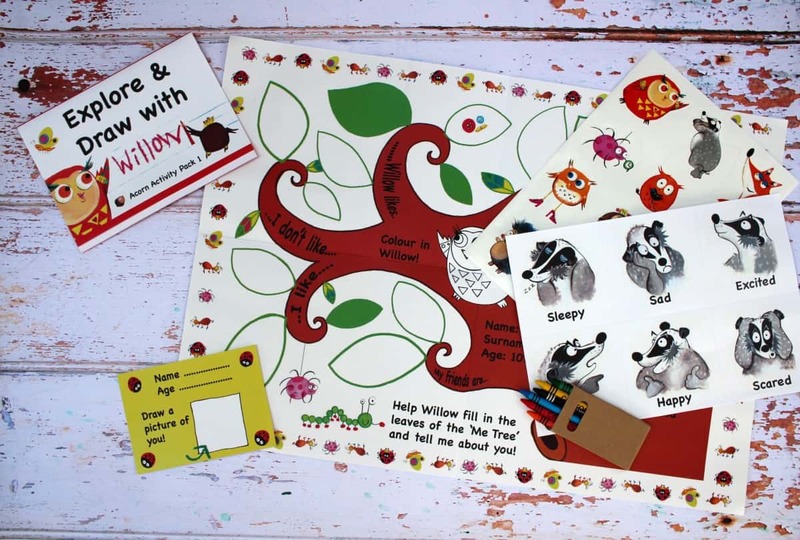 The Tales of Bushey Lane book and activity packs are really lovely for any child and would work well to open up conversations with children in any setting. The book is actually a really lovely standalone book that LP and Little Man really enjoy but it would be a great resource to use to find out more about a child’s life and home environment.